Multi-instrumentalist Ian Eccles-Smith hails from England, and has worked on various film soundtracks, and also contributed to Paul Schutze’s "Site" series as well as his The Gazing Engine. Eccles-Smith’s latest, Apsilene, circles into spheres of melodic, instrumental progressive rock, somewhat along the same lines as say, Camel’s classic album, The Snow Goose. But Eccles-Smith fires it up with instrumental jazz and fusion influences, and makes intriguing use of electronics, which give his performances a distinctive sound. Weaving a colorful tapestry of acoustic and electric guitar, piano, electronics, and percussion, Eccles-Smith touches on sounds that are modern, but also sometimes have a more traditional feel to them. (I’m guessing on these instruments. Some, or all of them may actually be sampled and played on the synthesizer. I’m not sure as there are no liner notes, and Eccles-Smith is credited with digital sound processing and sample editing on Paul Schutze’s albums). There’s a great deal of depth and spaciousness to his music, and a wonderful complexity that shows off his jazz leanings. And while the music is generally light in tone, menacing electronics creep in here and there, lending some darker shadings to the proceedings, such as in the mysterious Where is the Point of Freezing, which blends finger picked acoustic guitar with brooding ambient textures. But there’s certainly a bevy of different musical ideas going on here, from the funky upbeat groove of PIGGraft, to the electronica influenced Inn Mist. The titles suggest, and the musical shifts and recurring themes convey some sort story being told, so that even though the album is divided into seven different tracks, it feels like a cohesive whole (much like the above mentioned Camel album). Apsiline is image-invoking music, always moving forward, like a narrative in sound, a sonic storyboard of rich ideas. For more information you can visit Eccles-Smith at his web site: http://www.ianesmith.com/. 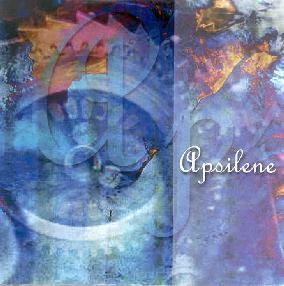 Here you can download Apsilene in its entirety in mp3 format.